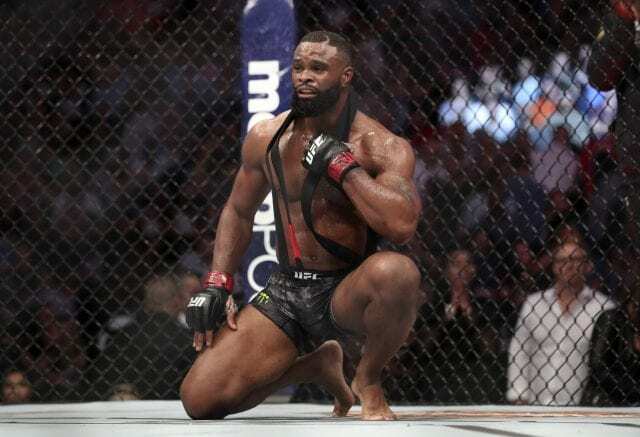 The UFC has been dealt some unfortunate news with Tyron Woodley sidelined the rest of the year. Woodley will undergo the surgery in mid-October, putting his return at January to February as a result. He would need to recover and go through a full training camp. 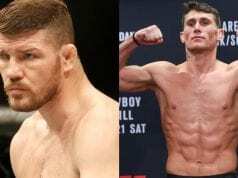 Shoulder surgery sidelined him for 14 months before his UFC 228 return. Woodley and Colby Covington were set to meet in a rivalry-fueled match-up in the main event of November 3’s UFC 230 from NYC. Covington recently denied that rumor. The outspoken public enemy No. 1 claims the UFC ‘hates’ Woodley’ and won’t give him the fight because of it. UFC 230 currently has no main event as of this writing. Nate Diaz will return to battle Dustin Poirier in the co-main event. A potential fight between Jon Jones and Alexander Gustafsson is a possibility. Dana White claims Jones won’t return until 2019. Stay tuned for more updates on UFC 230’s main event as the card approaches. NEXT: Betting Odds For UFC Sao Paulo: Is Eryk Anders Favored On Short Notice?